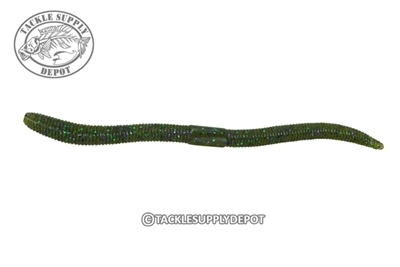 The Flick Shake worm has a built in curved design, which creates a squirming action that the fish cannot resist. The Flick Shake worm is also salt injected and has a live bait scent for additional attractive appeal. The design of the Flick Shake worm is for the Flick Shake technique which has taken the country by storm and that involves the use of a jig head and wacky rigging. Jackall has developed a specific Jig Head and the Flick Shake worm, which work together as a system and allows for the ideal action of the worm to be achieved. Whether fishing high pressure conditions, bedding fish or just behind someone down the shore line the Flick Shake worm can capitalize on bites others may be missing. As usual.. VERY satisfied with the speed and accuracy these guys display! Another order just as I placedarrived a day earlier than estimated.. Great work!